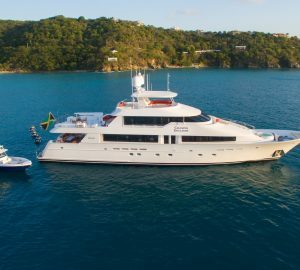 Luxury yacht charter destination Costa Rica is a small country in Central America and it is nestled between the Pacific Ocean and the Caribbean Sea. The beauty of Costa Rica is extraordinary as can be seen from the natural jungles and seas on both sides of the isthmus. 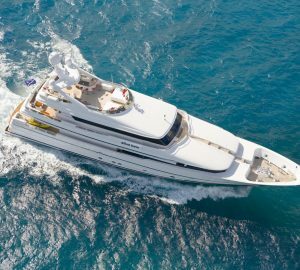 Due to its strategic location in the Pacific Ocean and the Caribbean Sea, Costa Rica serves as a perfect staging and beginning point for yacht charterers. Costa Rica boasts of a moderate climate throughout the year and hence it naturally becomes a haven for Costa Rica yacht charter holidays. Costa Rica is also dubbed as the Land of Peace in stark contrast to other South American countries such as Columbia and Brazil. The country is Latin America’s oldest democracy and in the last ten years it has become an important economic destination in South America. The terrain is dominated by mountains and rugged highlands that average around 3,000 to 6,000 meters above sea level. The main mountain ranges in Costa Rica are Rincon de la Vieja, Arenal and Turrialba. Costa Rica has long stretches of pristine coastlines on both sides and it has several rivers and streams emptying in the oceans. There are a wide variety of yacht charter holiday options in Costa Rica. It is also ranked as one of the top yacht charter holiday resorts in the Pacific. The favourable climatic conditions and the tranquil seas make your Costa Rica yacht hire perfect way to begin your day, whether on board of your powerful motor yacht or a beautiful classic sailing yacht. 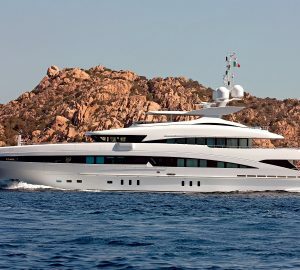 Cruising around on you superyacht you will be amazed to see the picturesque landscapes, the azure waters, the dormant volcanoes and the majestic places. Though the country is very small and occupies just 0.03% of the earth’s total landmass area it accounts for 6% of the earth’s biodiversity. Hence there is so much to look forward to when you take a Costa Rica yacht charter holiday. 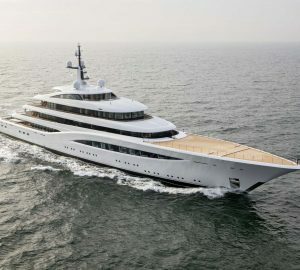 You can relax on your super luxury yacht while the experienced sailor takes the wheel. On the way he will show you the most beautiful places in the region. You can also go for marine activities such as scuba diving and snorkelling. On land, you can go for adventurous activities such as nature trails and hiking. The main provinces in Costa Rica are said to have world class beach resorts where you can take a break after a tiring day at sea. The dormant volcanoes and the lush green forests make for perfect hiking trails. From aboard your Costa Rican charter yacht you will be amazed to see the vagaries of nature that are still unspoilt by human civilisation. Yacht charter destinations such as San Jose are located in the centre of Costa Rica. This region is blessed with verdant forests, arable lands and national reserves. Costa Rica is also known as the land of the coffee plantations. This region is ideal for both motor yacht and sailing yacht charterers who explore top destinations in Costa Rica. The must-see attractions on your yacht charter trip include historic buildings such as museums and galleries. You can also take one day hikes to the natural reserves that play home to many species of plants and animals. Today Costa Rica has become an important staging and beginning point for yacht charter holidays. The verdant coastlines and the pristine beaches are perfect for yacht charterers to drop anchor. 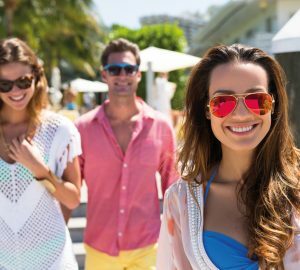 Costa Rica yacht charter destination offers the widest range of sightseeing attractions and activities to do while on your holiday. 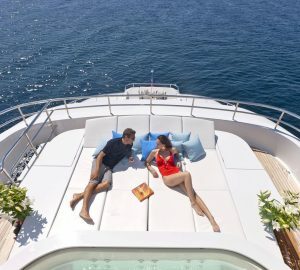 The yacht vacations are not very expensive here and for the most comfortable journey you can hire a super luxury yacht for one or several days. You can then take rest at any of the prominent islands or destinations in the Pacific. 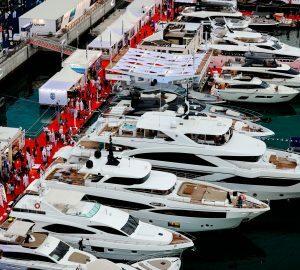 You can go for yacht charter holidays on the Atlantic side as well. To find out more about a Costa Rica yacht charter rental contact the team below for more. In close proximity to Costa Rica are a number of exciting sailing destination.